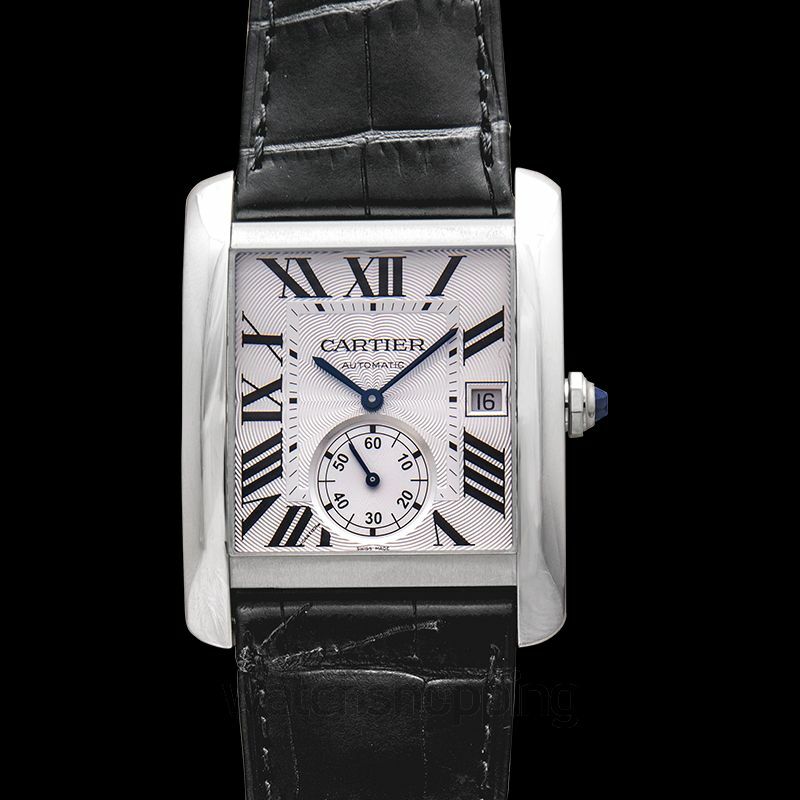 The Cartier Tank MC W5330003 has a well-balanced design that is both robust and elegant. 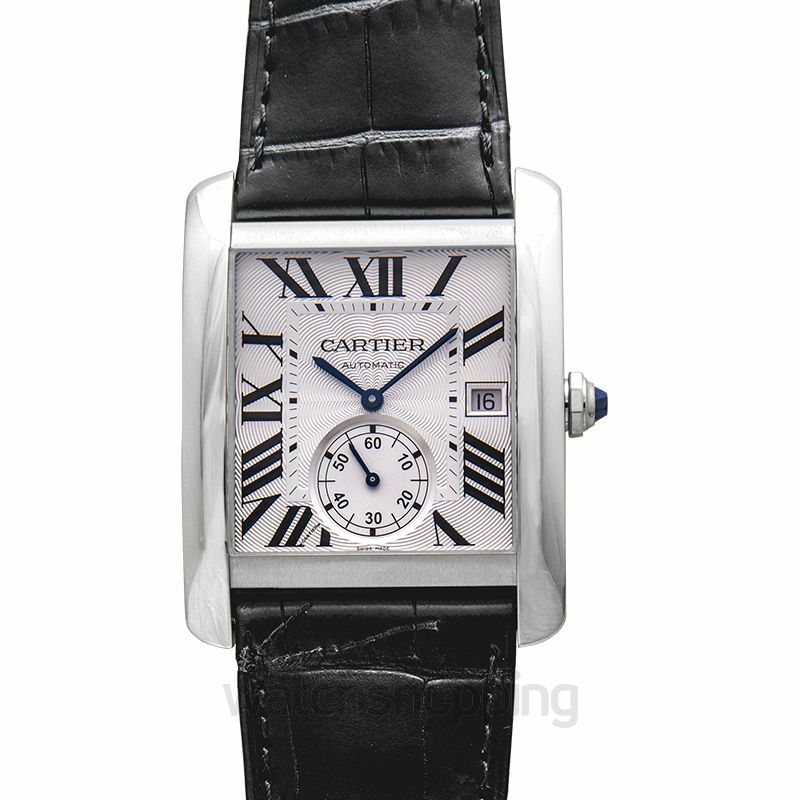 The watch comes with a stainless steel 34.3 mm case that houses the Cartier in-house self-winding automatic movement. 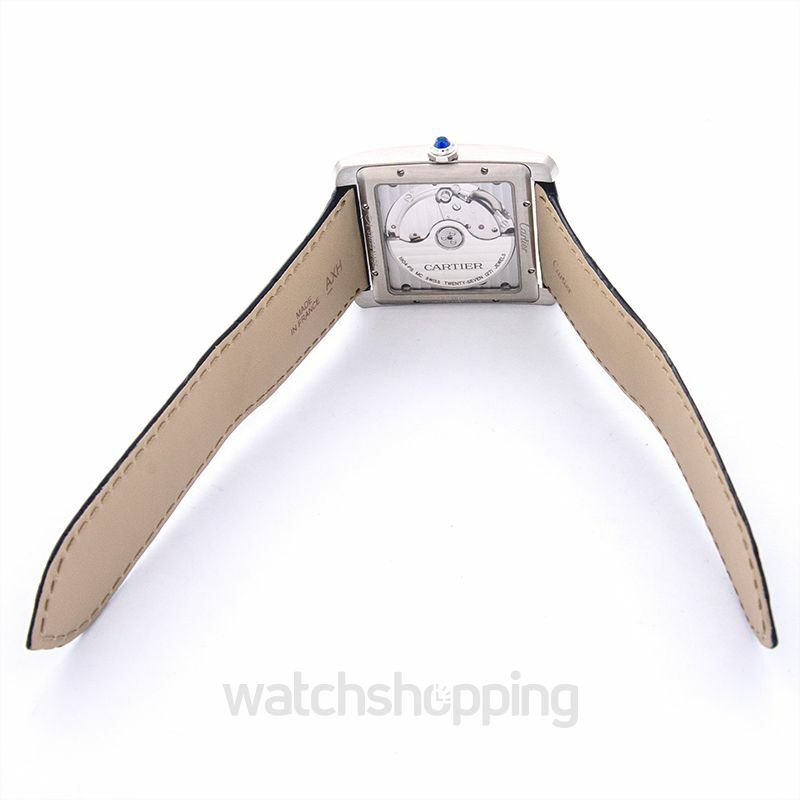 The watch has an eye-catchingeye-catching dial that stands out from the the rest of the models. 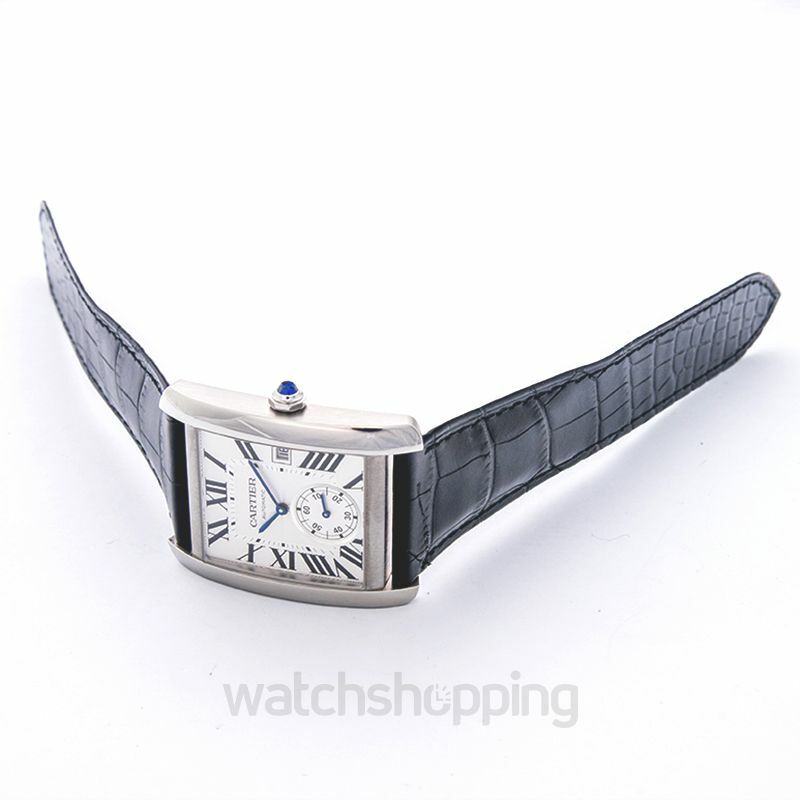 It has a rectangular silver dial with black Roman numbers and blue hands. The dial also features a small subdial and a date display window at the 3 o’clock position. Complemented beautifully by a luxurious black leather strap, the watch is a must-have for all watch collectors.